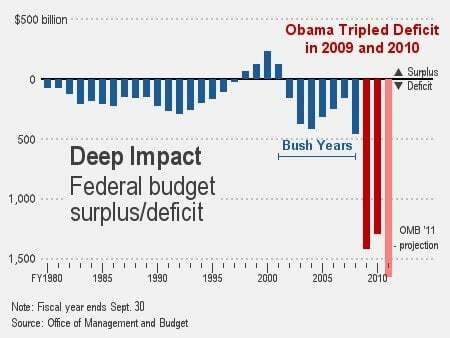 He’s not serious about reducing the record Obama deficit. Obama used accounting tricks on Republicans to get a budget deal passed last week. The historic $38 billion in budget cuts resulting from at-times hostile bargaining between Congress and the Obama White House were accomplished in large part by pruning money left over from previous years, using accounting sleight of hand and going after programs President Barack Obama had targeted anyway. Such moves permitted Obama to save favorite programs – Pell grants for poor college students, health research and “Race to the Top” aid for public schools, among others – from Republican knives, according to new details of the legislation released Tuesday morning. As a result of the legerdemain, Obama was able to reverse many of the cuts passed by House Republicans in February when the chamber approved a bill slashing this year’s budget by more than $60 billion. In doing so, the White House protected favorites like the Head Start early learning program, while maintaining the maximum Pell grant of $5,550 and funding for Obama’s “Race to the Top” initiative that provides grants to better-performing schools. Instead, the cuts that actually will make it into law are far tamer, including cuts to earmarks, unspent census money, leftover federal construction funding, and $2.5 billion from the most recent renewal of highway programs that can’t be spent because of restrictions set by other legislation. Another $3.5 billion comes from unused spending authority from a program providing health care to children of lower-income families.